Huawei partnering with Cricket Wireless might not sound like a team bringing earthshattering news, but for the budget-savvy consumer they just did – the Huawei M886 Glory is an Android handset running on a 1.4GHz Qualcomm MSM8655T chip all for the unmatched price tag of $299off contract. 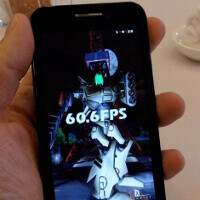 Did we mention the 4-inch screen with cream of the crop resolution of 480x854 pixels, adornished with an 8-megapixel auto-focus camera with flash and the promise for swift update to the upcoming Android Ice Cream Sandwich? 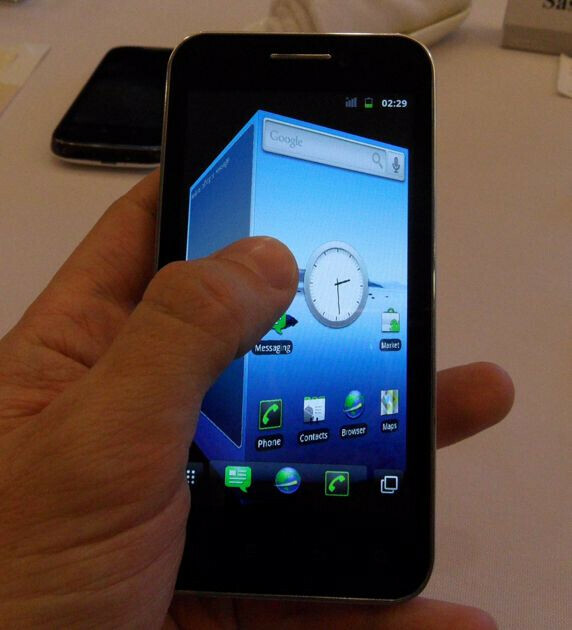 Currently, the Huawei Glory runs Android 2.3.3 Gingerbread. It's not only saving a buck as previously with Huawei, mostly known for the Ascend stateside, but now you get the respective performance as well. 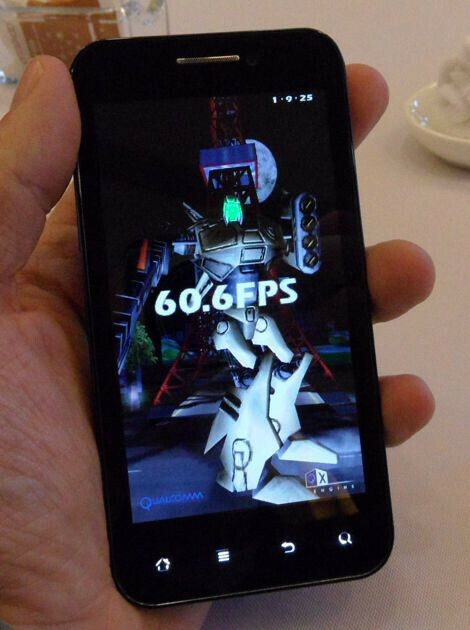 The Huawei Glory cracked the benchmarks scoring 60fps in the Neocore graphical test, but while its processor stretches a muscle, outside it looks humble with a plastic body. PCMag, who first got a hold of the device, reports that the material feels like “quality plastic,” with an interesting twist as the first white layer is used as base, then covered with a transparent one contributing to a 3D-like effect. At 0.38” (9.7mm) of thickness, the device is not the slimmest one out there, but not excessively thick either. The phone is reported to be “very, very fast,” but that doesn't mean that you'd have to worry about battery life as Huawei has included a capable 1900mAh juicer. The Chinese company has done some slight improvements over the vanilla Gingerbread adding a cube-like 3D transitions in the home screen along with a custom music player, but the interface overlay isn't too heavy. The pictures below are of a pre-production unit, so there might be slight changes in the final one. Already excited? This is expected to hit shelves in late-2011, so you'll need to wait for a while, but in the meantime feel free to share your thoughts about Cricket's Huawei Glory in the comments below. Not bad at all.. Finally Cricket gets something to be proud of. ya but can u say chinese iphone 3gs copy any better! It look`s like iPhone 3GS or I am wrong ?:-? yup, this is very true! Looks like a Samsung Fascinate. If this were coming out RIGHT NOW, I would get it. But in Late 2011 the next Nexus will be out and the Samsung Galaxy S II will be on all carriers meaning this phone came out too late. I would drop my Droid Charge like a bad habit and get this phone right now if it were out today. 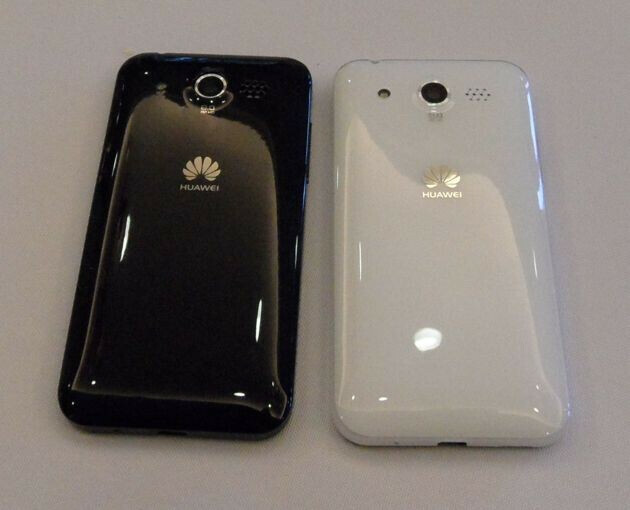 Good luck Huawei. Looks like a Fascinate.... LAWSUIT!!! 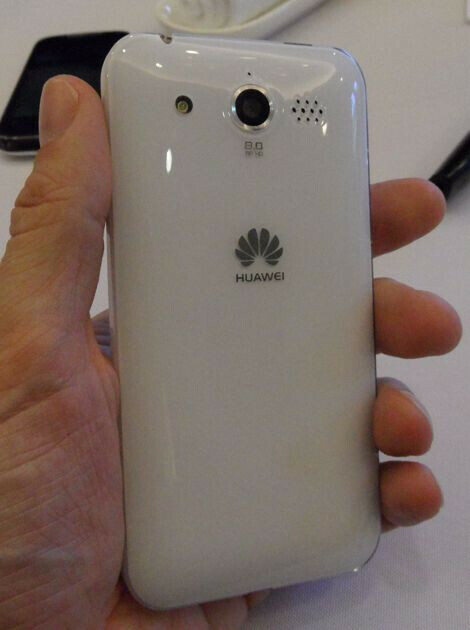 At least Huawei started of a high end device with a light UI. Good for them. I know Verizon phones can be flashed over to work on Cricket's network but does that work in reverse as well? Could I buy this and then have it activated on Verizon? Would there be any side-effects of doing that? Have you see the Ascend II? It is also running gingerbread. and available now. i can't wait until this phone comes out. Cricket's service works the best where I live (Central San Diego/Old Town area), and I'm really looking forward to trying out this phone! I have an Ascend 2 now, and it's ok, but I really want a faster processor, video light/flash, better camera w/autofocus so I can scan barcodes, etc.. I am looking forward to trying this phone out also. I have a Zio, but Im really looking for a better camera and processor. Cricket is actually expanding and getting better. This is probably how Verizon, US Cellular etc. started out. Over time they got better coverage. Soon Cricket Will be expanding and probably over ride Verizon. Compared to other cell phone companies I am saving over $200 just by switching over and no contract!